Daniel Bidace Anthony has been convicted and sentenced to life imprisonment, with a minimum term of 42 years for offences of murder, attempted murder and possession of a firearm with intent to endanger life. He shot dead Dothan Gordan in his Ealing home in June 2012 and then shot twice at Gordan’s partner, double amputee, Amy Ashitey, as she lay in bed. 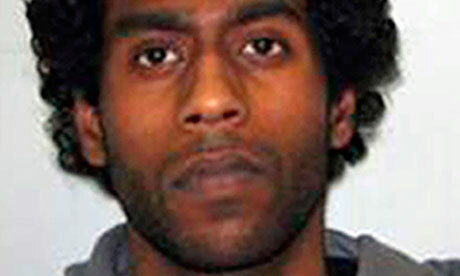 The jury sitting at the Old Bailey heard that Mr Gordan had attempted to act at as a middleman in a drugs deal. Bidace Anthony spent two hours with Gordan in his west London home before taking him into a separate room, forcing him to kneel on the floor, forehead against a stool, and executing him with a single shot to the back of his head. Bidace Anthony then turned on Gordan’s partner, Ms Ashitey, shooting her twice, because she recognised him. The jury spent ten hours deliberating, eventually returning a majority verdict of guilty. Excluding whole-life tariffs, the 42 year minimum term is believed to be the longest determinate sentence ever imposed in England and Wales. Unfortunately we don’t yet have the sentencing remarks, and so it’s not clear how the 42 year term was arrived at. However, we can safely presume that, for the offence of murder, the Judge would have started at the 30 year-mark due to the use of the firearm, and taken into account the aggravating features to increase the minimum term. If sentencing remarks become available, this post will be updated. What we do know is that further sentences of 36 years (attempted murder) and 15 years (possession of the firearm with intent to endanger life) were also handed down. These sentences will run concurrent to the 42 year sentence for murder. The total minimum term is therefore 42 years. More on life sentences can be found here. This entry was posted in In the news and tagged Life imprisonment, Minimum term, murder on 12/06/2013 by Sara Williams. Dale Williams, 21, Lerone Boye, 25, Roger Damali, 31, and Hugo Nwankwo, 18, were found guilty of murder on 22 November 2012. Kelvin Chibueze, aged 17, was stabbed at a birthday party held at the Arteflex Club in August 2011. He was then chased and attacked by youths using champagne and brandy bottles as weapons. The BBC News report at the end of the trial is here. It states that Kelvin was stabbed again once outside of the club. He suffered a fatal stab wound to the chest, in addition to stab wounds to the left forearm, left buttock and one of his palms. Police reportedly found four knives which had traces of Kelvin’s blood on them. The Guardian reported that the death followed a clash between two groups of males. Two other men were acquitted and a third was found guilty of violent disorder. He was given 2 years’ imprisonment, which allowed for his immediate release for the time he had spent in custody. Dale Williams, 21, was given a minimum term of 26 years, Lerone Boye, 26, was given 28 years, Roger Damali, 31, received 23 years and Hugo Nwankwo, 18, was given 16 years. As usual, we do not have the sentencing remarks, and so we embark upon the process of tracing the steps walked by the Judge as to how he arrived at the sentences. The Guardian: Judge John Bevan condemned the wall of silence which surrounded the case. He said: “The veil of silence which has fallen over the main participants in this case speaks volumes as to the cowardice and moral bankruptcy on both sides of the parties. It is possible that the jury found that only one of the men actually stabbed Kelvin, and the others were guilty as they were also participants, through the principle of joint enterprise. (A factsheet on joint enterprise is available here) However, with reports that four knives were found with Kelvin’s blood on them, it seems a little unlikely that that was a) the way the Crown put their case and b) how the jury found the men guilty. There is no information in relation to the individual roles of the defendants, but does that matter? We can make some assumptions as to the starting points and the general aggravating factors. The aggravating factors would most likely have included the fact that the offence was committed in a public place, that there was a chase, and Kelvin was stabbed numerous times, and that the killers were operating in a gang. Further, it may have been that it was found that there was an intention to kill, by virtue of the wounds Kelvin suffered and the fact that he was stabbed in the chest. There may also have been a degree of premeditation/planning, which would have also resulted in an uplift in sentence. Why then did the three over the age of 18 at the time of the murder receive different sentences? Well there are a number of reasons as to why this might have happened. They might have different previous convictions, they may have played different roles in the murder (for example supplying the weapons or instigating the chase). Further, the difference in ages between the three aged over 18 may also have resulted in a difference in tariff. For example, Williams (aged 21) received a shorter tariff than Boye (age 26). These aggravating factors can also explain why the 12 year starting point was increased to 16 years for Nwankwo. Damali’s minimum term was reduced from the 25 year starting point. This may be due to his role and previous good character, however this is all speculation as there is very little information on which to base our assumptions. Is the sentence too high or low? Well aside from one’s opinions on the general level of murder sentences and the anomaly between knife murders and murders committed with a hammer (25-year starting point compared to a 15-year starting point), it is rather difficult to say. In absence of further facts, all we can really say is that the tariffs are in the correct regions. Whether there will be an appeal against conviction or sentence remains to be seen. This entry was posted in Comment, Current Awareness, In the news and tagged London, Minimum term, murder on 21/12/2012 by Lyndon Harris.